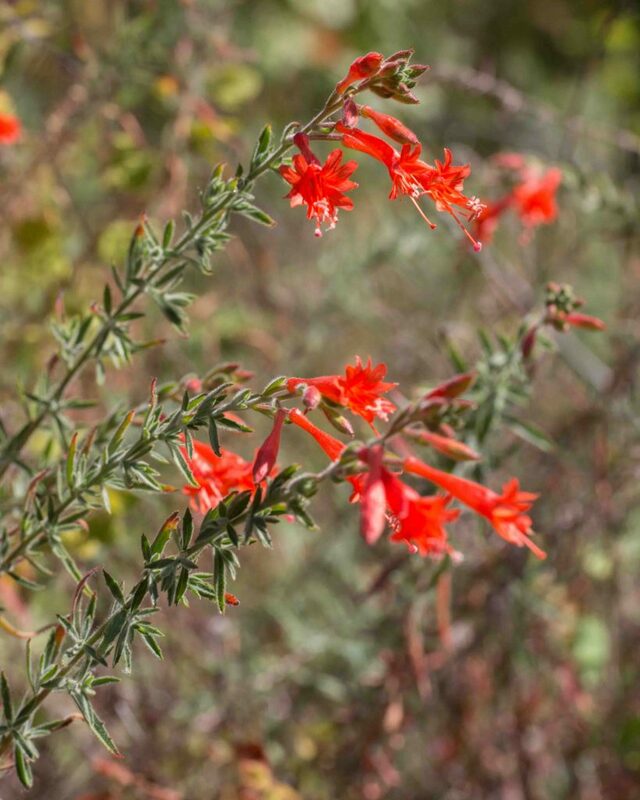 This differs from other Willow-herbs in its tall, panicled growth habit and its liking for dry, sunny areas. 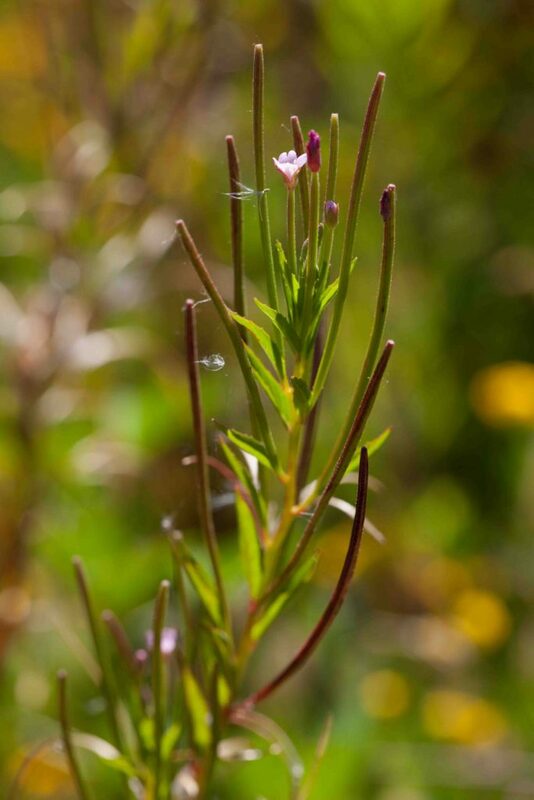 The flowers share the same distinctive willow-herb appearance, pink with deeply-cleft petals. 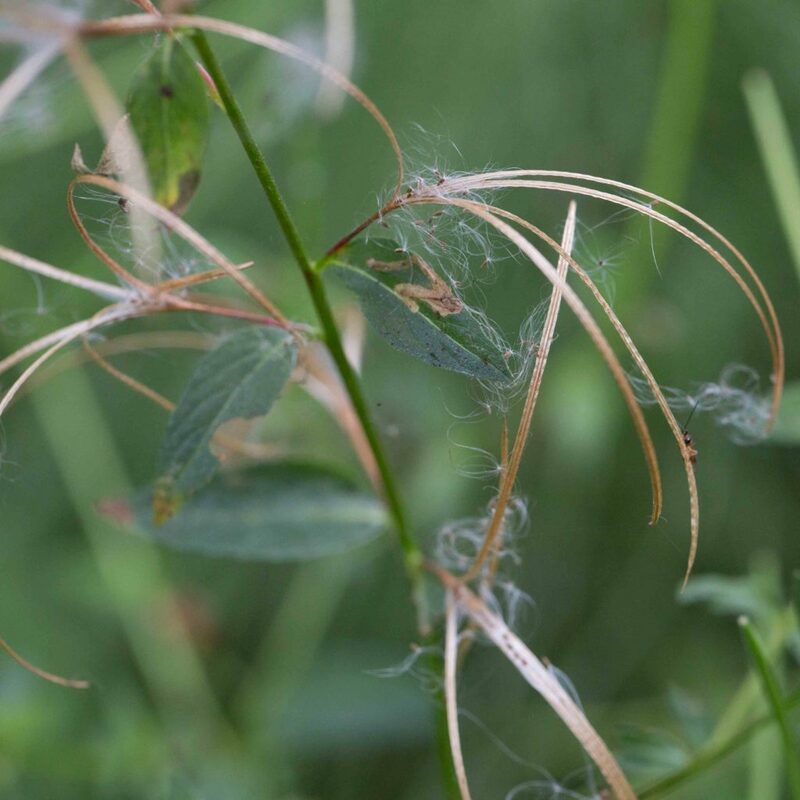 Fruits have long, pointed segments which pop open to reveal the seeds which are tufted with white, deciduous hairs. 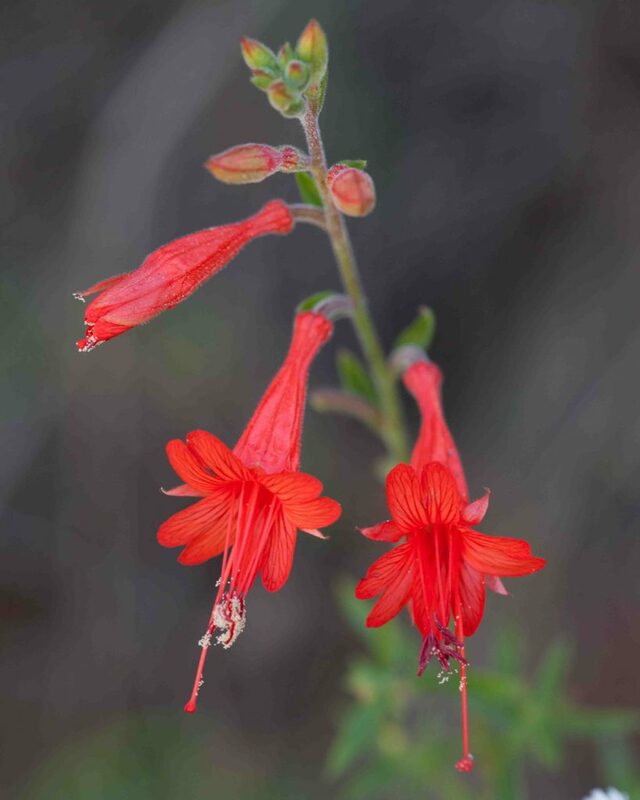 This perennial to sub-shrub is unmistakable with its brilliant crimson or reddish-orange, trumpet shaped flowers with their long-exserted stamens and pistil. 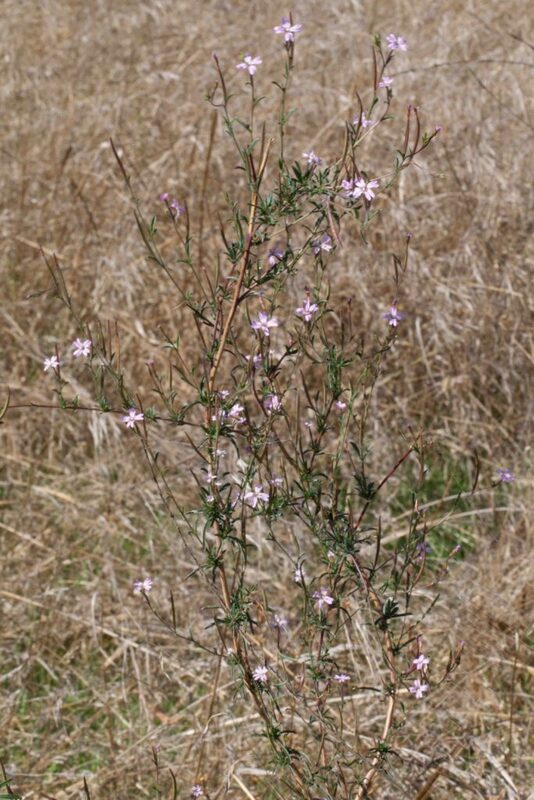 The stems are long with many narrow green to gray-green leaves. 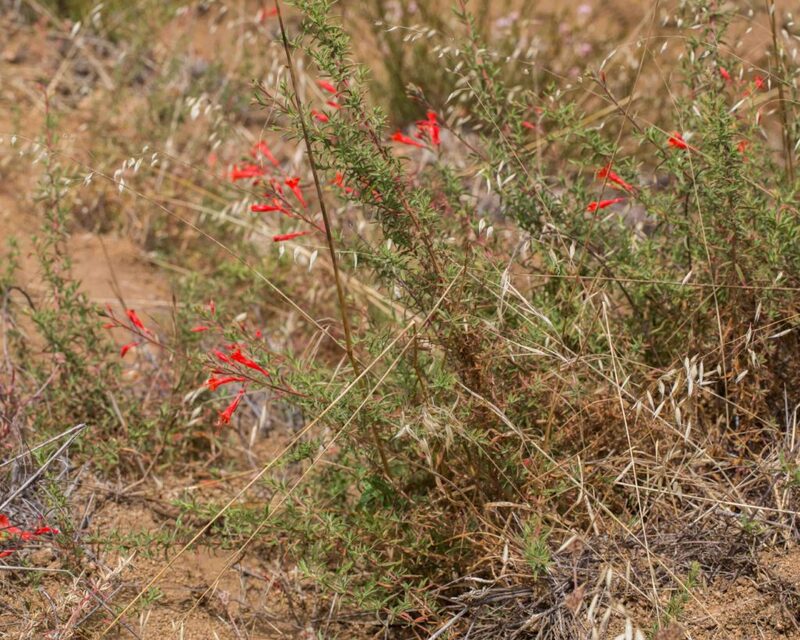 Sometimes known as Zauschneria (its former scientific name). 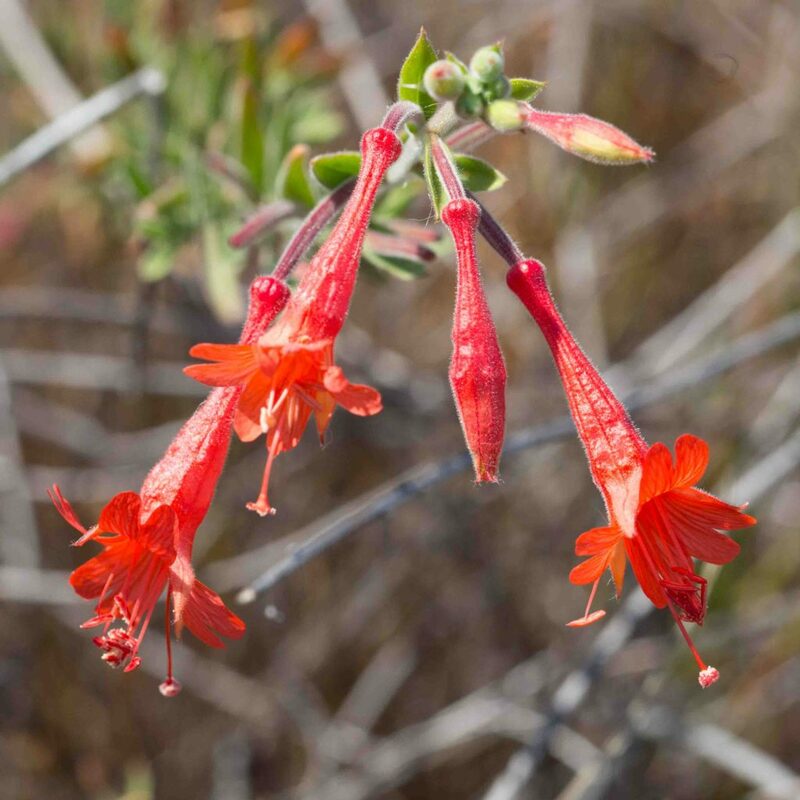 Most common in the Outer Coast Ranges south of Monterey Bay. 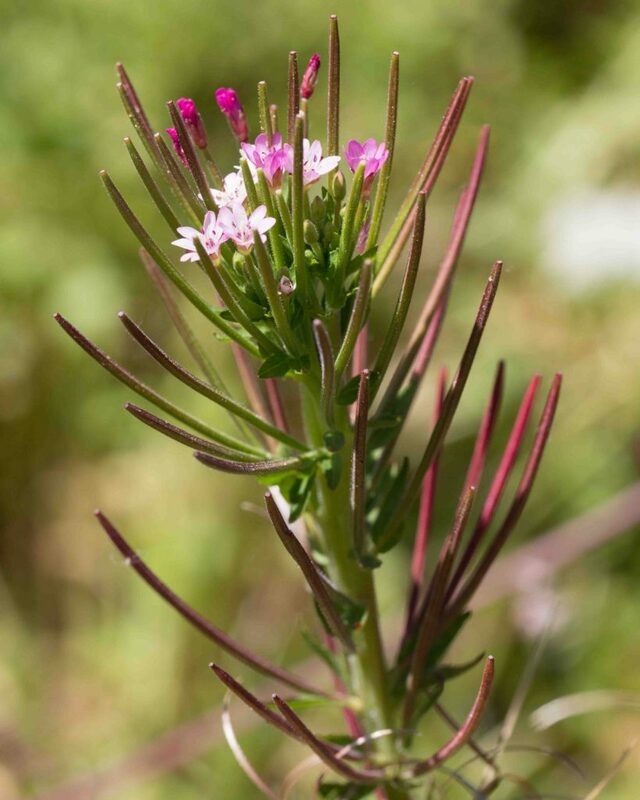 This and San Francisco Willow-herb (subsp. 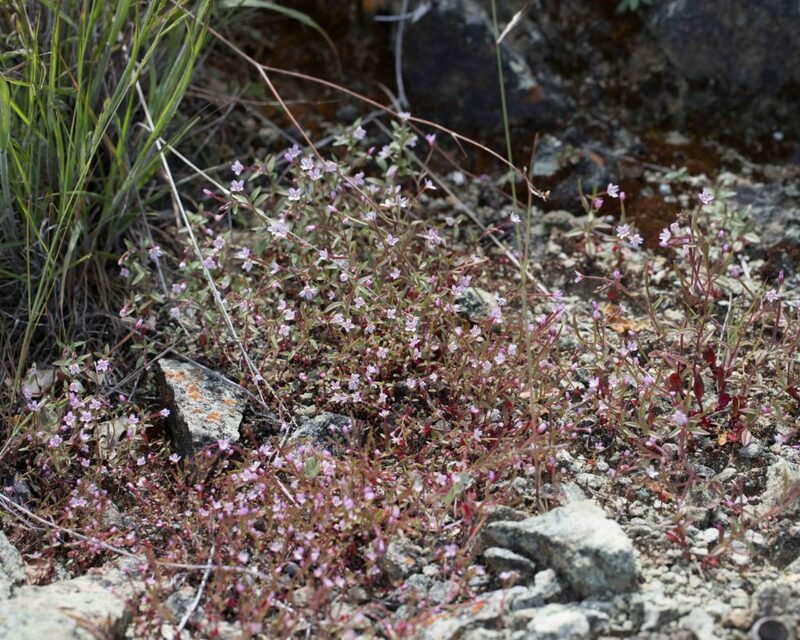 watsonii) are both generally found in wet places and can be confused. 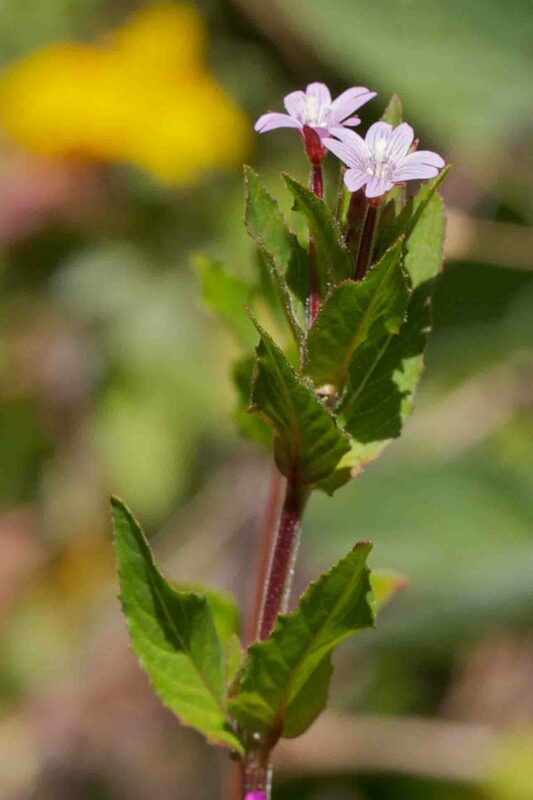 Leaves are lanceolate, generally opposite up to the inflorescence and reducing in size towards the top of the stem. 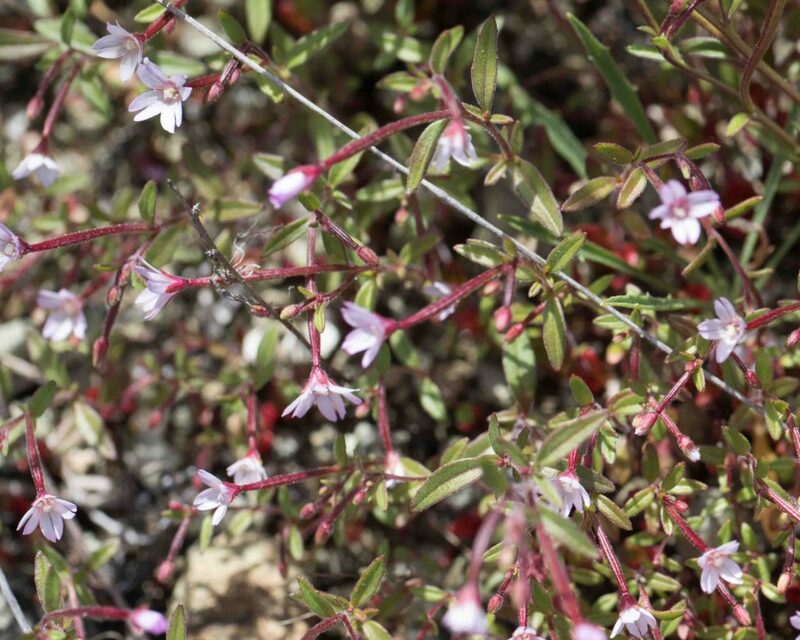 The inflorescence is openly branched and not leafy. 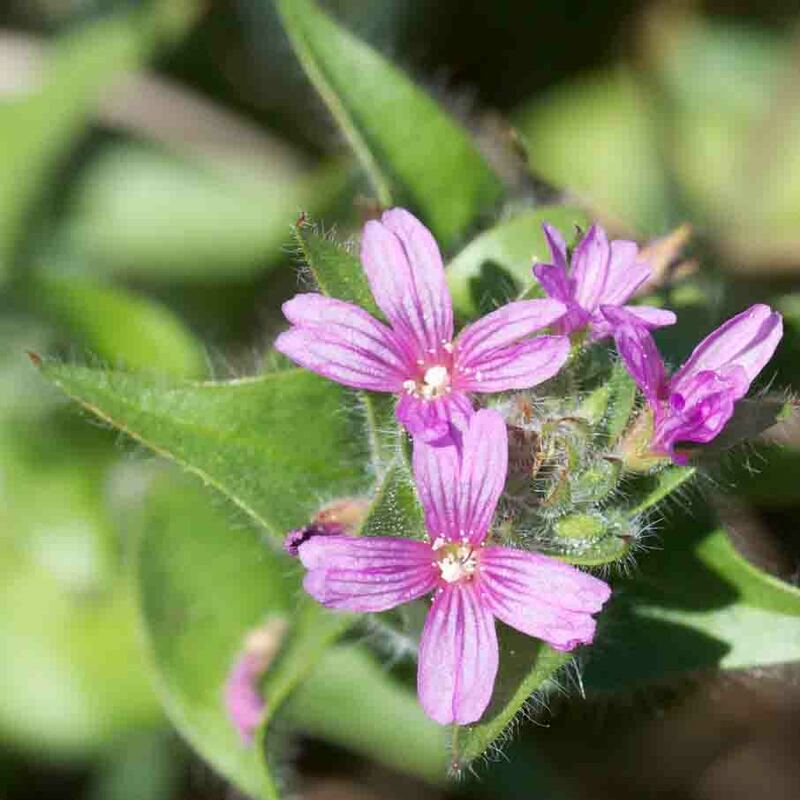 Flowers are small with white to pink petals 2–6 mm long. Fruits are cylindrical with long, pointed segments. 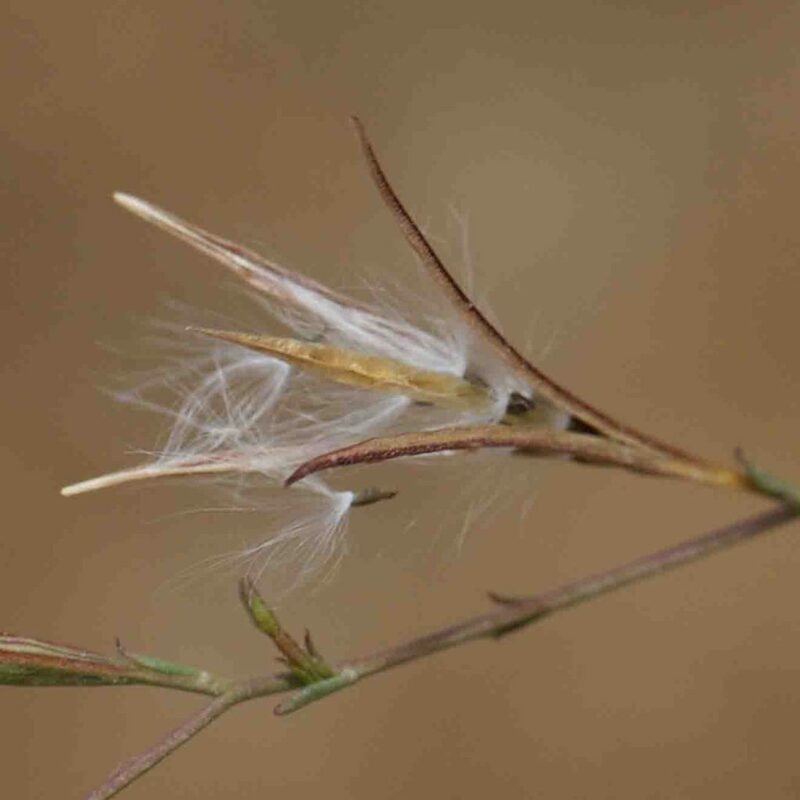 These pop open to reveal the seeds which are tufted with white, deciduous hairs. 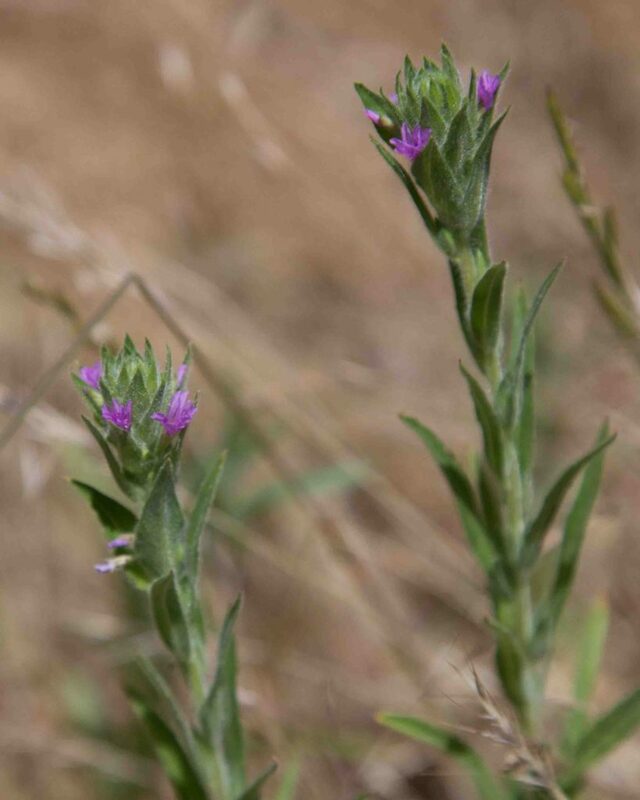 This is similar in appearance to California Willow-herb (subsp. ciliatum) but with a few differences. 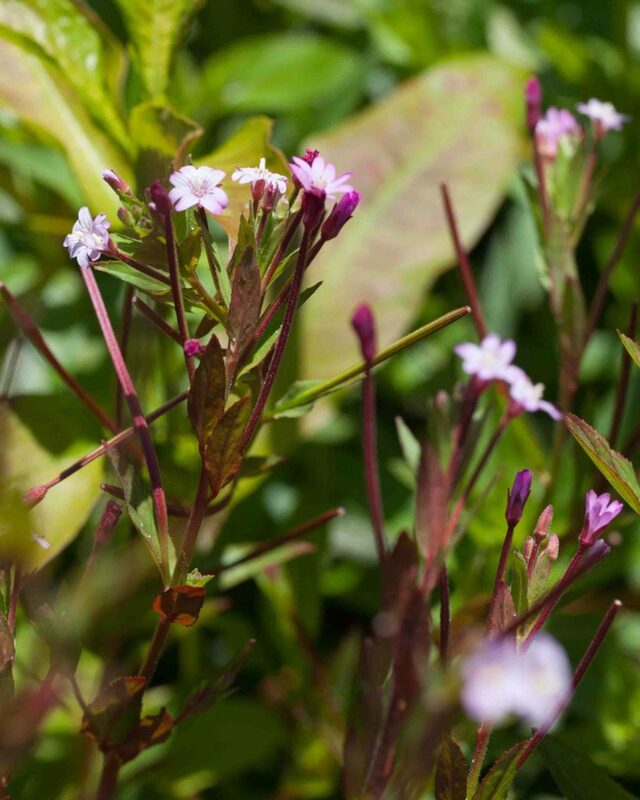 The most distinctive one is that its inflorescence is noticeably denser and leafier. 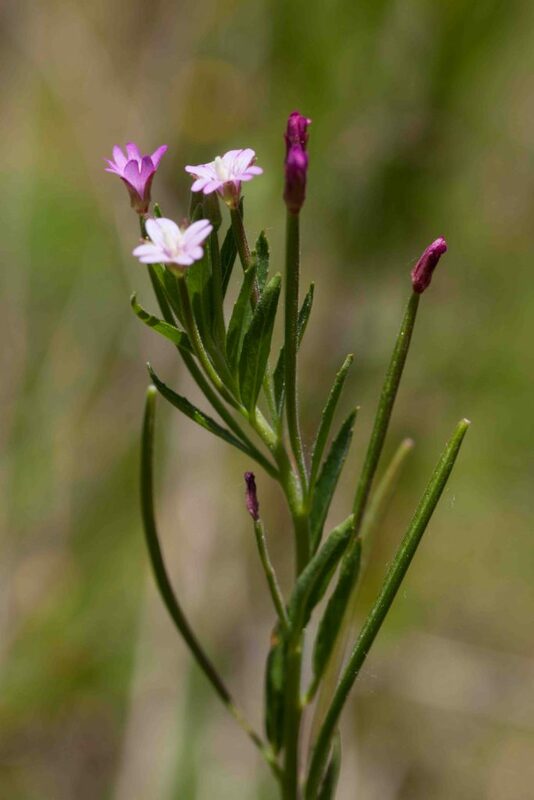 Its flowers are rose-purple or pink and a little larger than those of California Willow-herb (5–14 mm long). 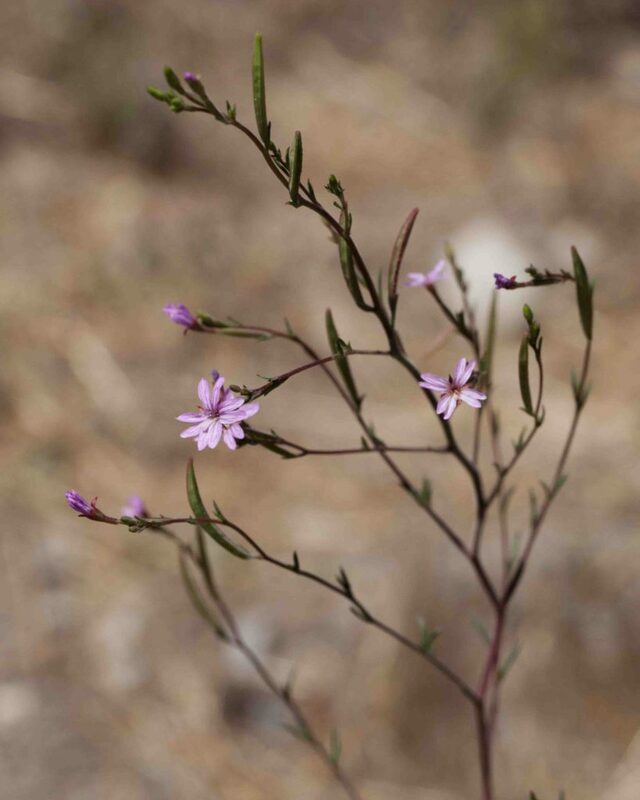 The leaves are not significantly reduced in size towards the top of the stem. 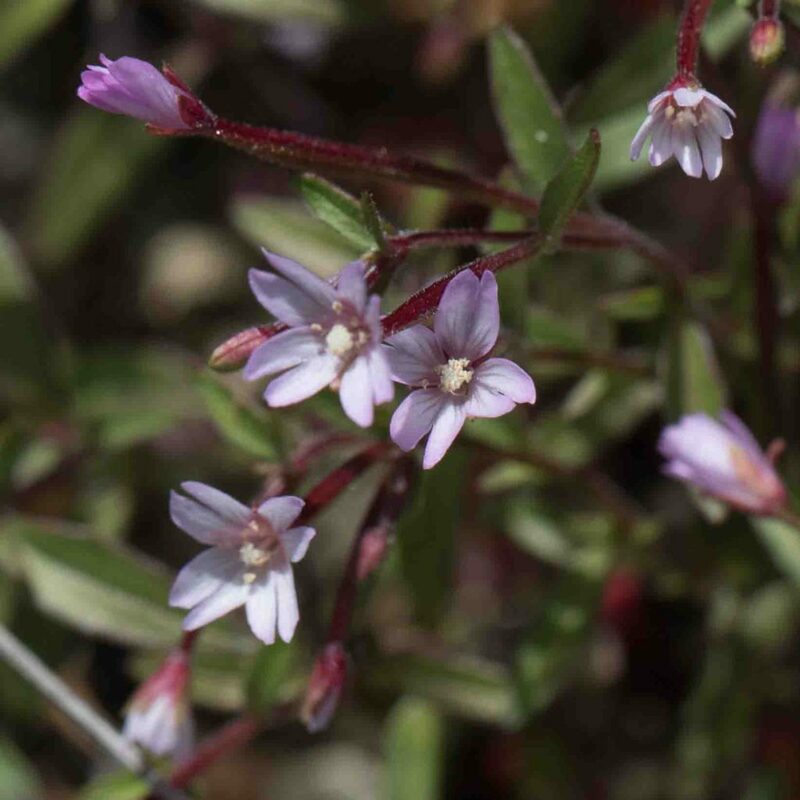 Like Panicled Willow-herb (Epilobium brachycarpum) this is found in dry areas, a small, sometimes spreading plant with an open inflorescence. 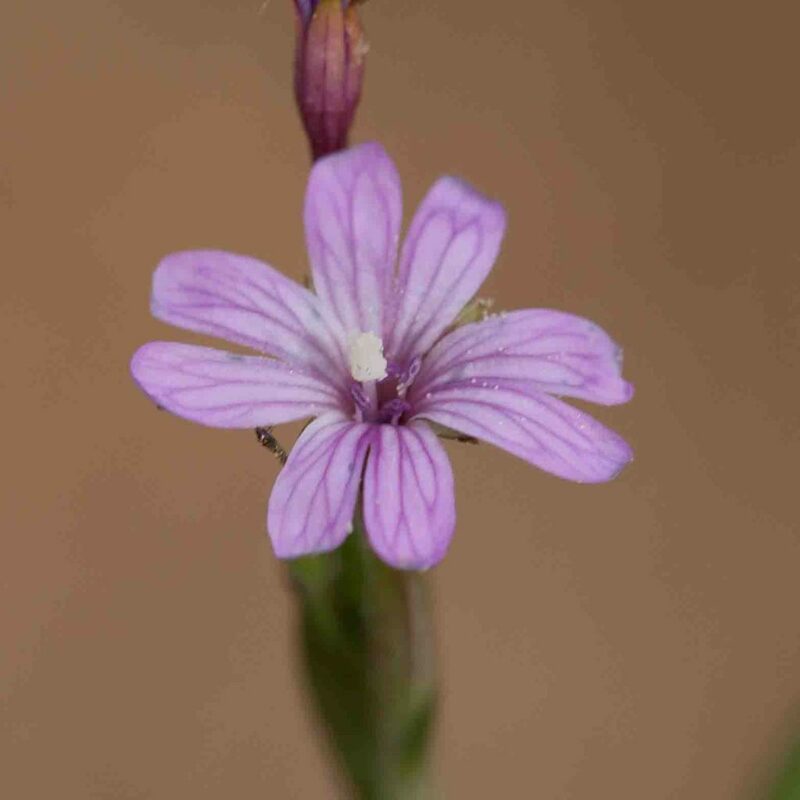 Its small flowers have the characteristic willow-herb cleft petals, white or pink, 2–5 mm long. 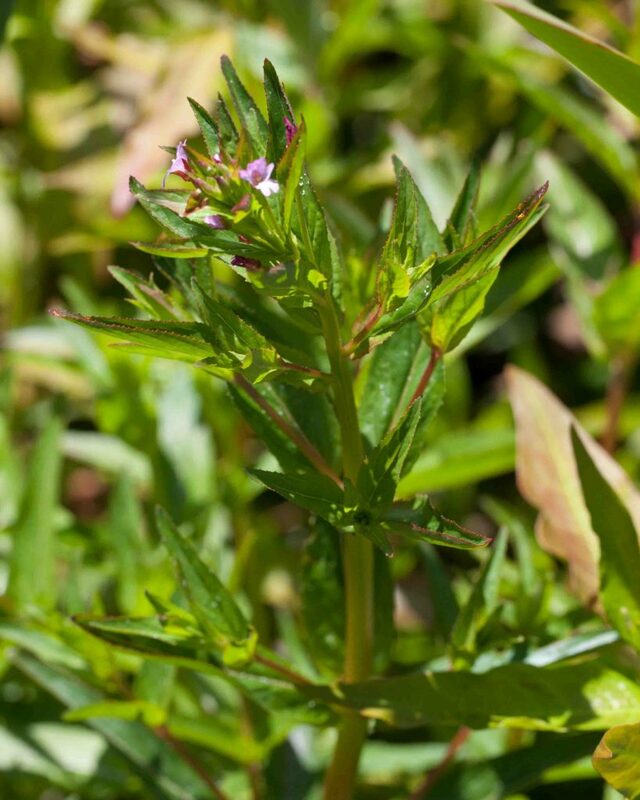 The plant is glabrous to strigose throughout. 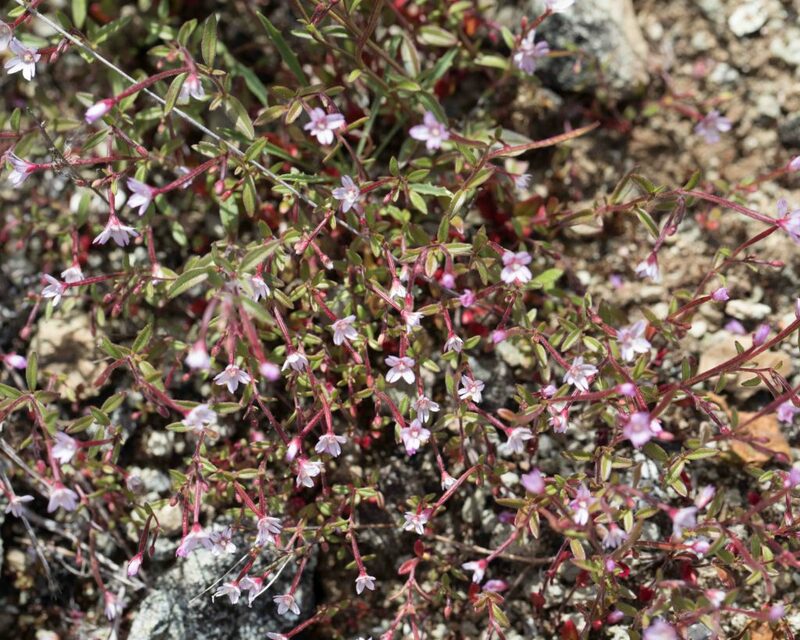 The boisduvalias differ from the other Epilobium by having seeds that lack their characteristic hair-tuft. 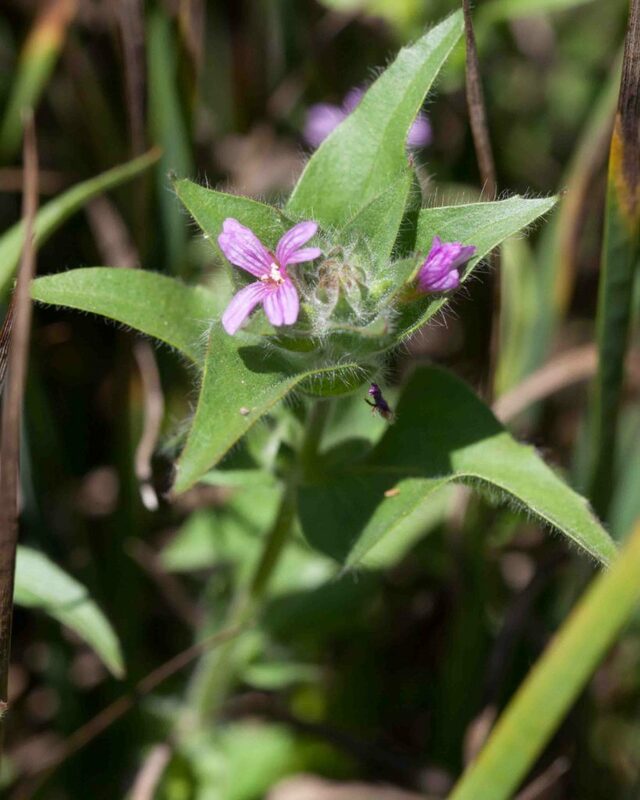 This is a leafy plant with the upper leaves noticeably hairy. Only the lower leaves are opposite. 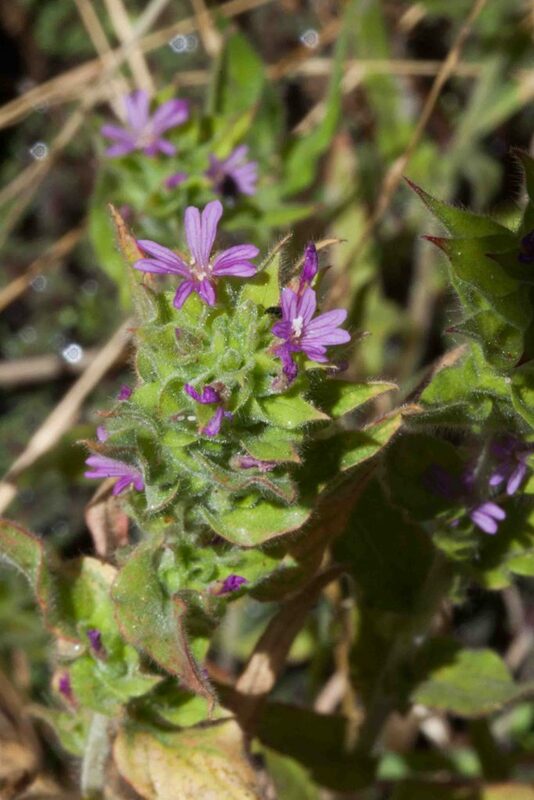 The inflorescence is a leafy, dense, bracted spike. 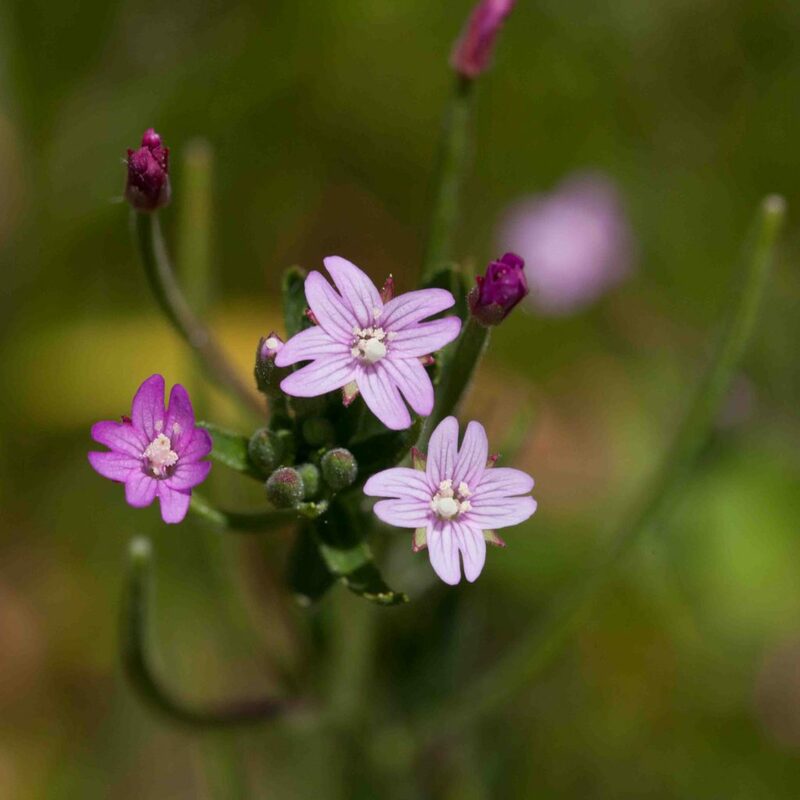 The pink flowers have deeply notched petals 3–10 mm long.